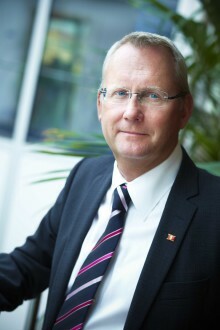 ​Businesses across Northern Ireland continue to be disadvantaged by poor road access to their key GB markets. 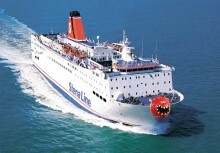 Leading ferry company Stena Line has raised concerns with local political and business stakeholders to increase the focus and necessity of addressing a critical infrastructure deficit which impacts a range of key NI business sectors including manufacturing, food production and tourism. Leading ferry company, Stena Line has really pushed the boat out with their latest offer by giving customers 25%* off their next getaway to Ireland. 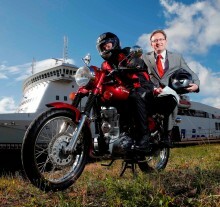 LEADING ferry company, Stena Line has created a great-value bikers day-trip fare to Northern Ireland, starting at just £15 for a bike plus rider*. Travel with Stena Line and you’ll never get bored – plus kids go free! 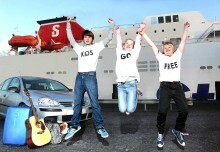 The phrase ‘Are we there yet?’ is a common one used by children when they travel, however families who book with Stena Line during National Ferry Fortnight can look forward to free travel for the kids as well as an action packed trip from the moment they step onboard, meaning that annoying phrase will be a thing of the past. 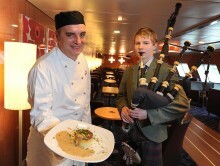 NORTHERN Ireland’s leading ferry company is setting sail on January 25 for a special cruise to celebrate Burns Night. Stena Line’s Burns Supper Cruise will offer passenger’s a traditional evening of Scottish food and entertainment for only £29 per person. Burns Night marks the life and poetry of Robert Burns, Scotland’s national poet and is celebrated on his birthday, January 25. Stena Line up to £650*cheaper than airlines this Christmas CHRISTMAS never does come cheap, but leading ferry company Stena Line has a money saving travel tip for those making the journey home to Ireland for Christmas – and it’s a ‘ferry’ good deal with savings up to £650 when compared to flight prices. 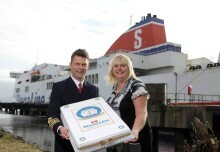 Passenger figures rise 9% and freight 60% in first year of service ON the 21st November 2011, Stena Line began services on its new Cairnryan-Belfast route by introducing two of the largest ferries ever to sail between Scotland and Northern Ireland. 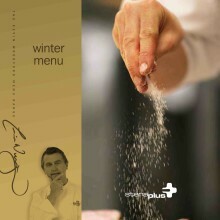 It’s Suki Time at Stena Line! Ferry Company Serves Belfast Made Brew on Board Leading ferry company, Stena Line, have ‘tea-med’ up with Belfast based company Suki Tea to make sure passengers have the perfect cuppa when travelling across the Irish Sea.